Having finally finished Dragon Age 2, I planned on playing Dragon Age: Origins Awakening but found that I need a break from Dragons and Ages and stuff. I then tried playing Mass Effect but realized that in fact, I needed a break from Bioware in general. So I’m playing the Witcher – Director’s Cut instead. So far so good. I never made it far the first time I tried to play this so everything is shiny and new now. 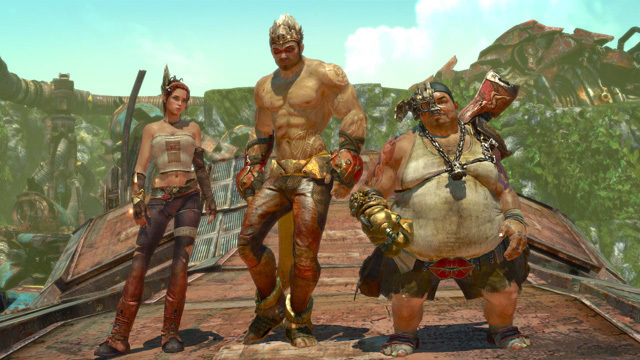 I am, as some of you may be wondering, aware that the Witcher 2 just came out. It seems that sequels motivate me to play games collecting dust on my physical and virtual shelves. Most of my time has been going into play League of Legends however. Per our Channel Massive Legends Podcast policy of rotating champions every two weeks, I’m playing Maokai – The Twisted Tree Ent, and I’m loving him. The coolest thing about him, to me, is his Sapling Toss ability. He throws these little guys and they damage whatever they hit. If they land in an unoccupied area they go into sentry mode and will chase whatever comes into range, exploding after 2.5 seconds of pursuit or impact, whichever comes first. If they land in an occupied space they explode immediately. Either way, they do single target damage on impact and almost double that upon AOE explosion. What could be better for harassing? They also make a nice finishing move in a battle after opening with Twisted Advance (a charge and stun move) followed closely by Arcane Smash (a slowing minor stun, if close, move). This is my favorite new champion by far! Good news, DS haters! I finsihed playing Okamiden over the weekend. But keep your celebrations minimal, because I promptly began Mario vs. Donkey Kong: Mini-Land Mayhem. Part Lemmings, part Incredible Machine, I’ve really loved what the Mario vs. Donkey Kong series has turned into, especially with its wind-up toys that you send merrily through trickier and trickier platforming challenges, removing and building bridges and jump buttons with split-second reflexes. Okamiden was also great– about two dozen hours to finish and I just couldn’t stop playing it, so that’s a sign of a good game. There was a surprising amount of character crying in the game in the latter third of the story, but some would say that’s typical of Japanese storylines. My buddy Chris and I also got some time with Enslaved and Alan Wake, two great single player games, both just shy of true greatness but still worth playing. We also mashed through some Marvel vs. Capcom 3 and I was sad to realize I’d already forgotten the moves I’d worked to learn last month. Oh well! I’ll just brush them up before the next gaming get-together. Hellz yeah… Bet you want a belt buckle like that, don’tcha? There’s also been some time for League of Legends, as I struggle through more homework assignments (woefully behind on playing Evelyn so far), and had a great time starting up a noob account and playing with some new friends last night– all of which we’ll get into in Channel Massive Legends Episode 3. I’m loving having more time to game, even though it’s not been a sudden bounty of free time since reducing my Nintendojo workload. I still have several things to do for Nintendojo and some freelance projects cooking, but I am eager to share more adventures of old games I’m finally getting into here in future WWPs. Not a whole lot to report on the gaming front (unless you count Spring Cleaning Extreme Edition as gaming), so I’ll share with you a picture of a new “friend” I made in Taos, NM this weekend. 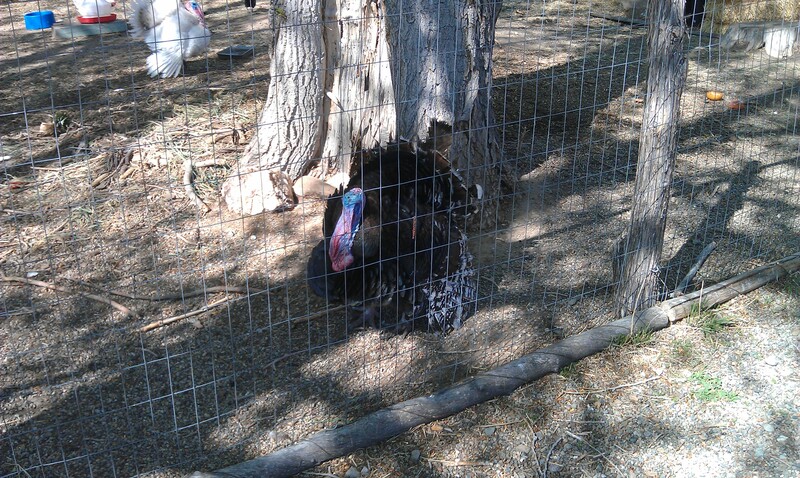 “The Turkenator” guarded the entrance to our bed and breakfast and was extremely territorial. The second I stepped close to my room, he would gobble and ruffle his feathers and I swear this little bundle of evil wanted to peck my eyeballs out. At least I can rest easy knowing that he’ll be turkey dinner for some family next Thanksgiving. I did download the seven-day trial for Rift and I also picked up a copy of L.A. Noire. Hopefully I’ll have more to report on those next week.